We’ve put together a list of questions we get asked most frequently. Click on the yellow cross next to the question you would like to find the answer. Are you still not finding the answer you’re looking for? Contact us directly and one of our customer service representatives will get back to you as soon as possible. Where can I buy Ona Polo Products? 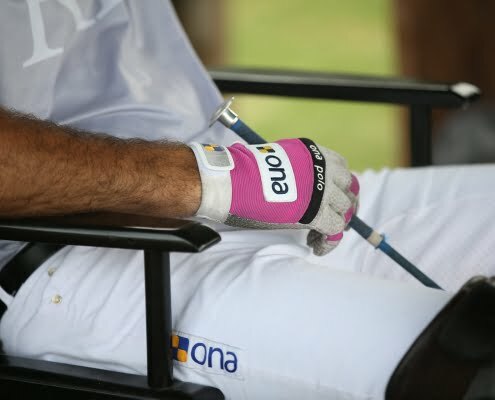 Ona Polo products are available from specialty polo equipment retailers world wide. Most retailers will special order Ona Polo products not in stock. Otherwise you can buy online directly from us. Does Ona Polo sell direct? We do sell direct through our online store. Yes, our products are available for worldwide. Click LOGIN at the top right hand side of the page. Step 1 – Enter details of an existing email address and a password. Step 2 – Enter name and address details. Step 3 – Enter contact details and interests and click create account. Click ‘LOGIN’ at the top right hand side of the page. You need to create an account to place an order. Setting up an account provides easy access to your order, faster returns, as well as quicker check-out next time. Purchasing directly from Ona and adding items to your cart. You can purchase directly from Ona Polo through this website. If we have stock in the size and colour you have selected we will show you the Ona Polo Add To Cart button which will add the item to your Ona Polo Shopping Cart. Once you start an Ona Polo Shopping Cart we will continue to show you the Add To Cart button on all of the product pages. How can I be sure that I have placed an order with Ona Polo? Why am I asked for a password before I can view the Online Store? We don’t require people to register before browsing in the online store – so if you are using the Internet from an office, it’s probably an internal firewall setting. What local tax and duties are charged? If you are buying goods for delivery to an EU address, then there are no applicable local taxes or duties. The exchange rates used will be those of the credit card issuer.